Grass-fed Beef Decision Calculator - This is a comprehensive, interactive Excel spreadsheet that allows you to examine the costs of various beef cattle enterprises and make informed financial decisions. Download the calculator here. An explanation of how to use the calculator can be found here. A Comparison of Rental Rates for Landowners - This is a simple model for landowners providing comparative rents from leasing to grass-fed beef operations versus corn producers. Download the spreadsheet here. All files are Excel spreadsheets. Welcome to the National Sustainable Agriculture Coalition's (NSAC) Grassroots Guide to Federal Farm and Food Programs! This guide does as its title suggests: it walks you through dozens of the federal programs and policies most important to sustainable agriculture and how they can be used by farmers, ranchers, and grassroots organizations nationwide. Click here to view the guide. 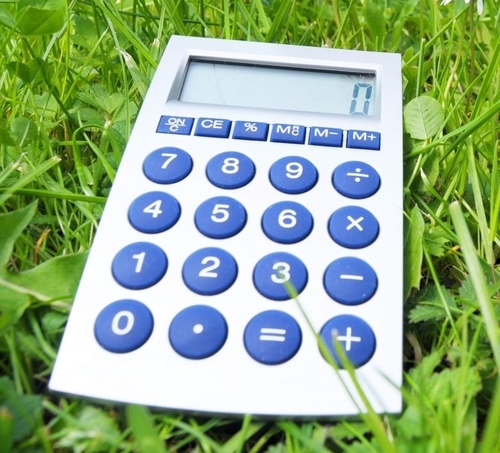 This calculator provides a simple and prompt means of analyzing your grazing program as your work your way through the grazing season. It will make management decisions much easier and give you confidence that you are on track with your grazing plan. Click here to download calculator for free. GreenEnergyMaine.com is an online resource for consumers, businesses, municipalities, students, educators and job seekers who want to shift to a clean and sustainable energy economy. Use our community pages to find and share information on specific energy topics. Greenbook.net has an extensive database of chemical product information that you can use to help control unwanted plants. You can search by plant name and the database will list what chemicals you could use. If you need to know more about a specific chemical, you can type it in and search for product info. You need to register with the site to get the detailed information. Some chemicals require a pesticide license. Are you looking for a local harvest festival, farmers market, pick-your-own, locally made products or family-friendly farms? Harvest to Hand is a smartphone app here to help promote a sustainable way of life for local agriculture across the United States (available for iPhone® and Android™ mobile devices). Consumers have easy access to fresh farm products, events and home-spun goods right at their fingertips through our free Harvest to Hand app. Click here to explore the app online. The Idaho Hunt Planner is an interactive search and mapping engine for Idaho Hunting Regulations. Filter by game, take method, location and more to find the hunt you desire. Seasons and rules booklets and brochures for hunting and fishing in Idaho can be found free of charge at local vendors and Fish and Game offices. Thirty-two Wildlife Management Areas located in six Fish and Game regions have been established to protect wildlife habitat and are available for hunting, fishing and other public enjoyment of wildlife. Varying from 275 to 85,000 acres, each area is dedicated to primary purposes such as big game, waterfowl and upland game. The lands encompassed by the WMAs vary from backcountry forested habitats for big game animals to agricultural areas with important pheasant and waterfowl habitat. Thousands of big game animals winter on some WMAs and tens of thousands of waterfowl winter on others. Nongame wildlife use all the WMAs. These lands are diverse and critical habitats that provide great opportunities to enjoy both game and nongame wildlife. Invaders of Texas Program is an innovative campaign whereby volunteer "citizen scientists" are trained to detect the arrival and dispersal of invasive species in their own local areas. That information is delivered into a statewide mapping database and to those who can do something about it. The premise is simple. The more trained eyes watching for invasive species, the better our chances of lessening or avoiding damage to our native landscape. This website also contains information on local workshops, toolkits, and online seminars. Click here to become a citizen scientist. The Invasive Plant Atlas of New England's (IPANE) mission is to create a comprehensive web-accessible database of invasive and potentially invasive plants in New England that will be continually updated by a network of professionals and trained volunteers. The database will facilitate education and research that will lead to a greater understanding of invasive plant ecology and support informed conservation management. An important focus of the project is the early detection of, and rapid response to, new invasions. The Invasive Plant Atlas of the United States is a collaborative project between the National Park Service, the University of Georgia Center for Invasive Species and Ecosystem Health, the Invasive Plant Atlas of New England and the Lady Bird Johnson Wildflower Center. The purpose of the Atlas is to assist users with identification, early detection, prevention, and management of invasive plants. The focus is on non-native invasive plant species impacting natural areas, excluding agricultural and other heavily developed and managed lands. Four main components are species information, images, distribution maps, and early detection reporting procedures. Invasive Species Interactive Maps for Louisiana show how invasive species have entered ("portals") and moved ("pathways") through Louisiana, and why the Bayou State is especially vulnerable to species invasions. Created by the Tulane/Xavier Center for Bioenvironmental Research through a generous grant from The Coypu Foundation of Baton Rouge, Louisiana, in 2001. Search our in-depth invasives database for information about invasive plants, observations of invasive species reported by citizen scientists or to map invasive species in Texas. IPaC is a project planning tool which streamlines the USFWS environmental review process. Integrate the environmental review process into your project design. Quickly and easily identify USFWS managed resources and suggested conservation measures for your project. See if any listed species, critical habitat, migratory birds or other natural resources may be impacted by your project. Using the map tool, explore other resources in your location, such as wetlands, wildlife refuges, GAP land cover, and other important biological resources. Log in and define a project to get an official species list and evaluate potential impacts on resources managed by the U.S. Fish and Wildlife Service. Follow IPaC's Endangered Species Review process—a streamlined, step-by-step consultation process available in select areas for certain project types, agencies, and species. For projects or species not covered by the step-by-step consultation process, get a list of potential impacts from your specified project activities to use when making effect determinations.Receive conservation measures recommended by U.S. Fish and Wildlife Service biologists to avoid, minimize, or mitigate effects to listed species. The Internal Revenue Code section 179 tax deduction allows for small and medium sized business owners to deduct the cost of new equipment. Use Crest Captial's online calculator to learn more!